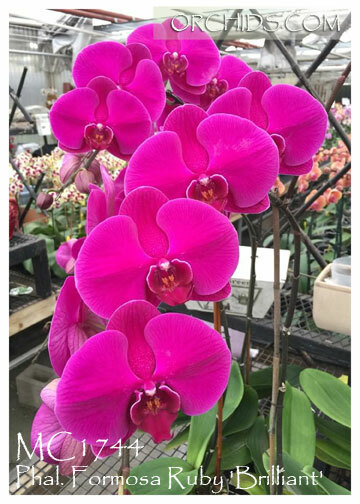 About as rich a color as you can get in a classic deep magenta-lavender classic Phalaenopsis, one of the darkest for this line of breeding ! 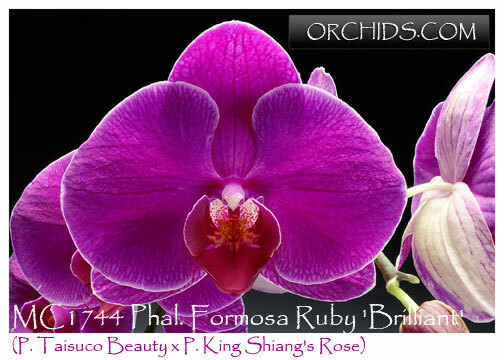 Its heavy substance 3 ½” flowers display themselves on tall arching spikes, creating a richly dramatic presentation. Highly Recommended ! Brilliant , note: In buds to blooming !